Home » Beauty » I'm Sorry…Humans Can Run HOW Fast? Watching elite runners in any form is straight up mesmerizing to me. During a marathon, they look like they’re gracefully gliding across the concrete—when really, they’re somehow maintaining a sub six-minute per mile pace for 26.2 miles. And that’s just distance runners. Catch a sprinter smashing a speed record and they look like they could keep up with a car chase. 40 MPH: The fastest speed humans can run. The current fastest human in the world is Usain Bolt, who can run at nearly 28 miles per hour—some streets have lower speed limits than that! Bolt holds the record for the 100-meter sprint, clocking in at 9.58 seconds, reports BBC. Christian Coleman, however, broke a world record earlier this year for the 60-meter dash, coming in hot at 6.37 seconds, and some argue he’s now worthy of the fastest title. And for the ladies, Florence Griffith-Joyner has the fastest 100-meter at 10.49 seconds, according to the IAAF. That’s 22 MPH! No matter who holds the top spot, whenever I see these outlandishly fast humans, one word comes to mind: how? How can a human be so damn speedy? What does it take to run super-fast? Of course, Olympic, record-breaking athletes don’t just show up to the Games without putting in intense hours of training. But they also have genetics working in their fast-paced favor, says Colleen M. Brough, P.T., D.P.T., director of clinical education at the Columbia RunLab. Meanwhile, other people are predisposed to having more type I fibers, so they’re born to run stronger for longer. So, can I train to run fast or should I give up? You can certainly train for a speedy finish. You just might not snag world records if your DNA isn’t set up for success. Is there a limit on just how fast humans could run? According to a 2010 study, yes. Because of the force muscle fibers take on, it appears 40 miles per hour might be the cap speed. Considering Bolt is more than 10 miles per hour below that, humans have some work to do. But Brough says we’ve come a long way over the years in terms of increasing speed overall. 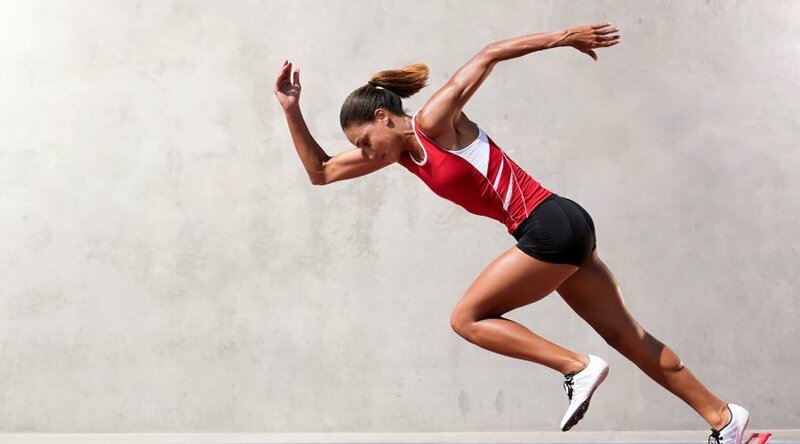 “We’re expanding areas of exercise science, and discovering more efficient running form,” says Brough, “as well as ways to maximize energy production and utilization,” to help runners get stronger and faster. 10/29/2018 Beauty Comments Off on I'm Sorry…Humans Can Run HOW Fast?